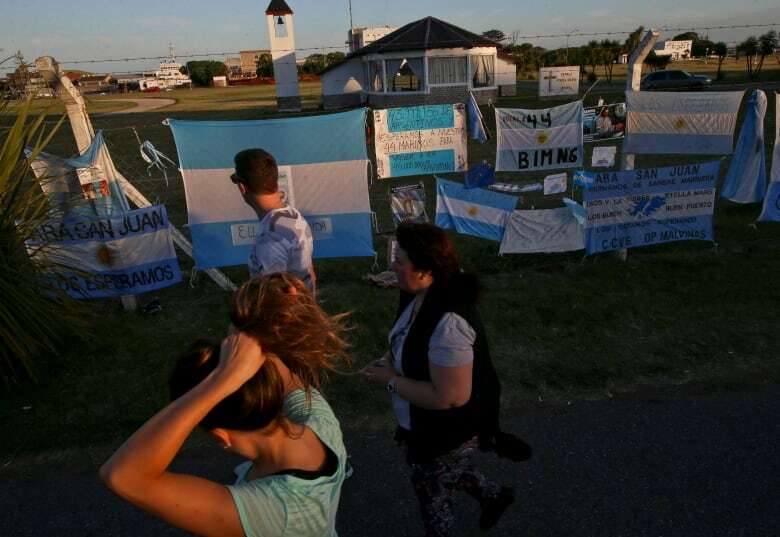 Water entered the snorkel of an Argentine submarine and caused one of its batteries to short circuit before the vessel went missing 12 days ago, a navy spokesman said Monday. Since then, there have been no signs of the sub or debris despite an intensive multinational search. Experts have said the crew had only enough oxygen to last up to 10 days if the sub remained intact but submerged. 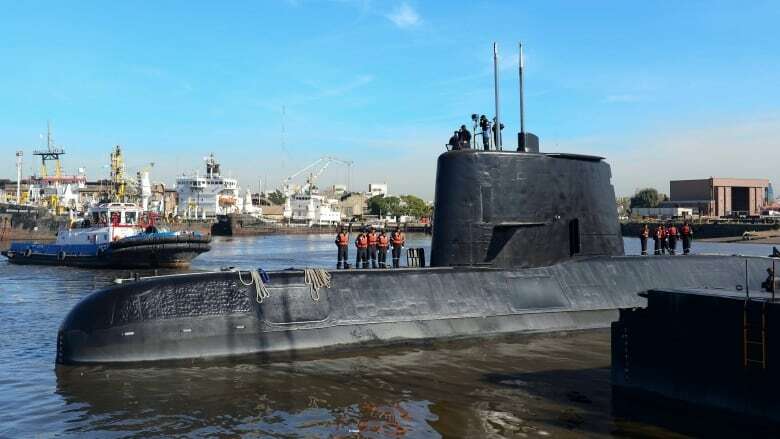 The navy said last week that before the submarine went missing, the captain reported an electrical problem in a battery compartment and the vessel was ordered to return to its base in the coastal city of Mar del Plata, about 400 kilometres southeast of Buenos Aires. Navy spokesperson Enrique Balbi told reporters Monday that the captain said water had entered through the snorkel when the sub was charging batteries. The water went through the ventilation system to a battery connection tray in the prow and "caused a short circuit and the beginning of a fire, or smoke without flame," he said. The San Juan, a German-built diesel-electric TR-1700 class submarine was commissioned in 1985 and was most recently refitted in 2014. The navy says more than a dozen countries are still helping search for the sub in area where the explosion was recorded about 430 kilometres off the coast of Argentina.